A 41-year-old Canton woman has been indicted by a Fayette County grand jury after she allegedly stole items from Tanger Outlet Mall Jeffersonville on March 4 and then fled authorities during a high-speed pursuit. 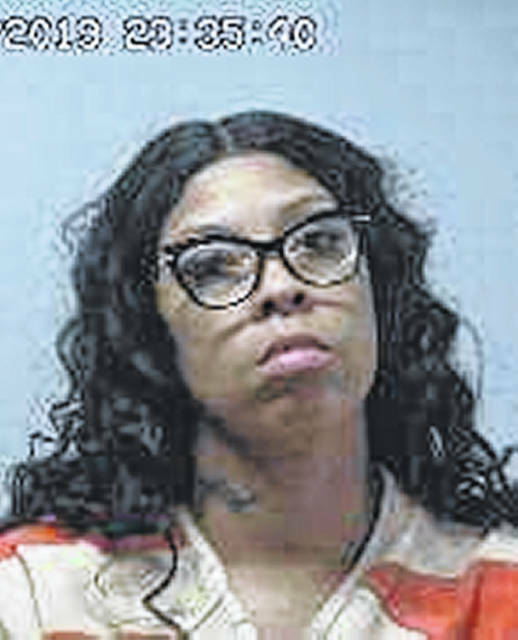 At around 3 p.m. on March 4, Fayette County Sheriff’s Office deputies responded to the Polo Ralph Lauren store at Tanger, located at the Interstate 71/US 35 intersection, on a theft complaint. A deputy found a vehicle — a blue Nissan Rogue SUV — that matched the description provided by the complainant. A deputy approached the vehicle, which was backed into a parking space, while identifying himself and showing his badge to the woman seated in the driver’s seat, according to reports. The female, later identified as Elliott, allegedly put the vehicle in reverse and struck a vehicle parked behind her. The deputy told her to roll down the window, which she did briefly before immediately rolling it back up, reports said. Elliott departed the area and turned right on State Route 435 heading west and failed to stop for a red light, reports said. She continued west on SR 435, weaving around traffic until she turned north onto the I-71 on-ramp. Deputies gave chase as the pursuit went on I-71 North into Madison, Pickaway and Franklin counties, regularly exceeding speeds of 100 miles per hour. The pursuit finally ended on I-71 just north of I-270 after a Ohio State Highway Patrol trooper deployed stop sticks on the roadway. Elliott was taken into custody, and numerous shopping bags with stolen items were found inside the vehicle. Elliott is being held in the Fayette County Jail on a $50,000 bond. At her March 19 arraignment hearing in Fayette County Common Pleas Court, her jury trial was set for May 29.